Everybody likes to hear the success story. The one that didn’t get away is far more newsworthy than the one that did. So it was with great joy when I came in from gardening last night to find that our very own Randy has finally joined the 100% ranks without going to DC. I can’t propound enough on what a shame it is that many of you came here after you’d lost and had a far more difficult time winning at the BVA. It’s not so much that its harder but that the constant rounds of remands back and forth often stretch it out to a decade or more. Randy has been sanding and filing his claim down for several years using some of the techniques we advocate here and it finally paid off. He did it all himself I might add. Giving advice is all well and fine but the individual Vet is the one who carries the water. Some come here asking me to do it for them in toto. I cannot. I have my own fish to fry. I offer DIY advice only. The law actually precludes me from engaging in it unless I am accredited. This raises the number of wins to 30 since 2008. The two losses were unavoidable due to circumstances that included willful misconduct. They were insurmountable given that the individuals had contaminated the claim with too much information. Add to that the drug hanky panky on record and it became a negative objective. Herewith, I present the fruits of Randy’s long, hard-fought battle with the defenders of Fort Fumble in Denver. Always remember when they use the word “or”, you have two different sets of criteria. Additionally, no one is expected to suffer all the individual components of any disease. DC7354 has two such sets of criteria and they (vA) are focusing on one to the exclusion of the other. From experience, what I have seen is that absent the weight loss (minor or major), they try to hang you on the number of days you are incapacitated. 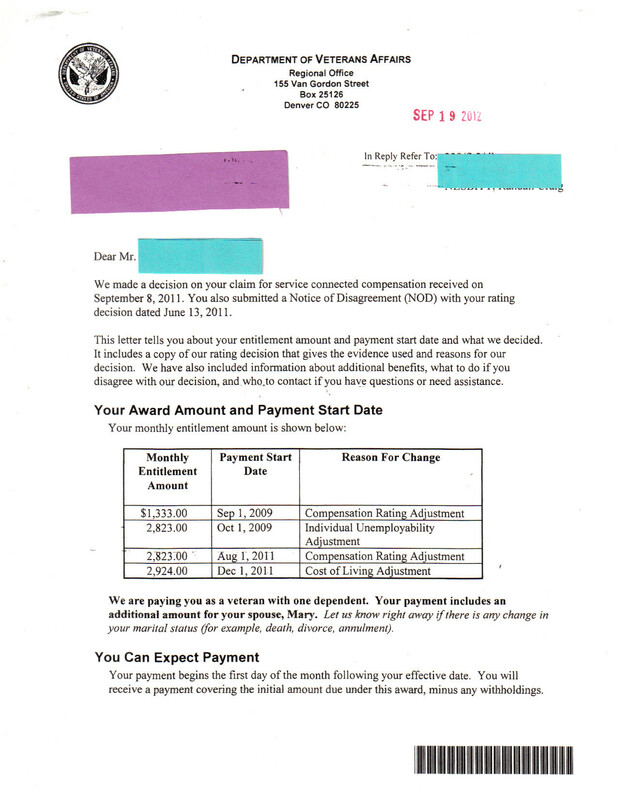 VA employs the “yeah, but you didn’t have…” all the time. They lose as usual on appeal but that is a long and arduous mountain climb. One thing is certain, you are not going to get better. At this point, a careful analysis is in order. They have, in essence, caved in and given you the big enchilada all the way back to 09. Add five years and it’s protected for all intents and purposes. So on Sept. 4, 2014, unless you go back to work, your rating will not be taken away unless fraud can be proved. After ten years, if you do not kick before, your wife will be in the DIC catbird seat for about $1500 a month when you set sail for the last cruise. Of course, if you kick from HCV or cirrhosis before then, she’s covered too. Finally, if you make it to twenty years, you’re bulletproof even if you did cheat. VA could not take you to task on the HCV, Randy. Here’s why. You probably are like me in that you suffer “near constant debilitating symptoms” and are under a doctor’s care. Thus you qualify for 100% schedular on just the hep. VA is loathe to grant that. What they did was sandbag you with the cirrhosis. There is a major argument in the rating language at about 20% on both hep and cirrhosis. At that point, a decision has to be made as to which to rate on. VA will not go up to 50% on cirrhosis and 60% on the hep. I’ve seen them do 20% and 10% and the guy was knocking on Heaven’s door. You are getting a good deal here with the TDIU but it’s a backdoor method. True 100% shedulars are not the norm. I checked and there are about 375,000 of them currently. Most are like yours where they shortsheet the bed but throw in the TDIU. The problem with giving out half and half 7312/7354 is the codicil about pyramiding ratings. VA tries so hard to read this as limiting what they can give you because the ratings clash. It isn’t that hard. HCV caused all of this and that is where the focus should be. Cirrhosis is merely the fallout. 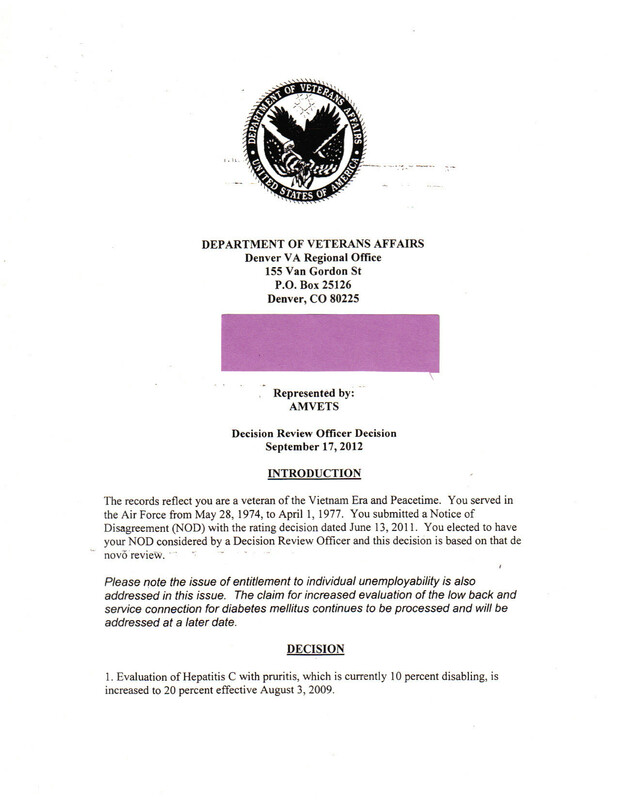 vA ignores this and artfully creates a situation that ties their hands (or appears to). vA is a past master at creating a problem and then fashioning a solution that takes you to LA via Beijing. What they are loathe to do is just give you the hep for 100% and perhaps the cirrhosis for 30. God forbid. What they did here is far more convoluted and confusing. Winning the DM2 will be anticlimatic. They’ll lowball you and you’ll show the insulin use. They’ll finally go to 40% from 20% after a lot of hemming and hawing. Rest assured that you are not the first victim (nor the last) to be sandbagged by them on the hep/cirrhosis game. As a last note, I’d like to thank Randy for sharing this with you folks. Some are recalcitrant about the publicity and politely decline. I don’t blame them. 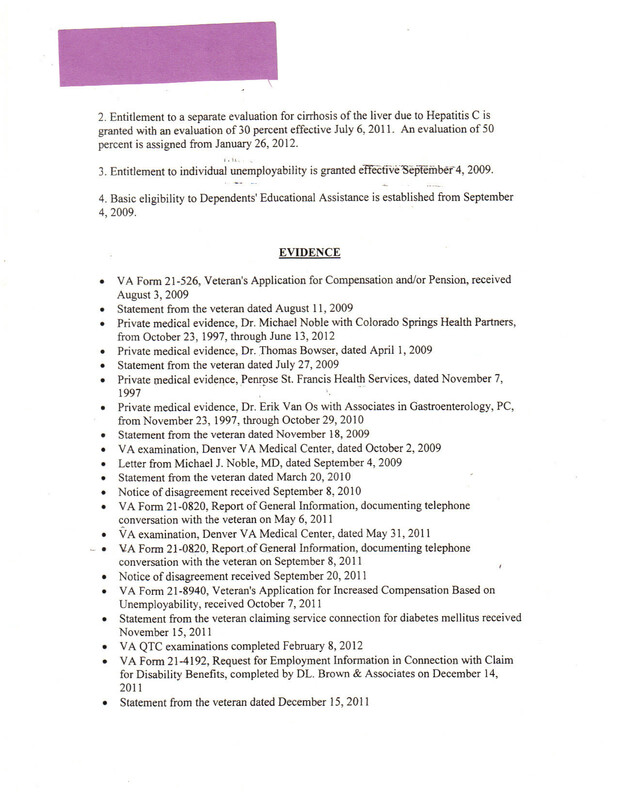 What vA does to us is criminal. The fear of retribution is large on our minds. Witness that I use the handle ASKNod for similar reasons. After observing what they are capable of, I don’t suggest being BFF with them or assuming they’ll be like-minded. Lastly, I recommend putting your wallet in your front pocket and sitting with your back to a wall when you have occasion to visit. Merry Christmas Randy. It only took Santa three years to get here. 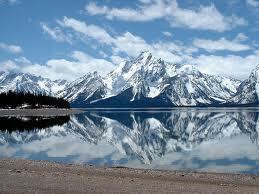 I guess this is what they call a Rocky Mountain High. 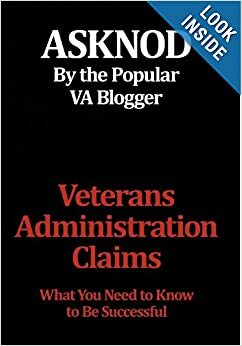 This entry was posted in ASKNOD BOOK, Inspirational Veterans, NEW BOOK, Tips and Tricks and tagged asknod.org, asknod@wordpress.com, Disabled Veteran, DIY vA Claims, Gulf War Claims Help, Gulf War Vets, Gulf War Vets Help, HCV, HCV Decisions, HCV Health Tips, HCV Veterans, HCVETS, Help with vA Claims, Help with vA HCV Claims., Helping Veterans, Inspirational Veterans, Service Connection, VA claims, VA HCV Claims Help, Veterans claims help, Vietnam Veterans Claims Help.. Bookmark the permalink. They followed the law once you received a disability high enough to qualify you for IU. Good luck health wise and stat in treatment. Randy: Wonderful news. Thank you for sharing the award letter and Nod for your analysis. I have questions about this post but I’ll ask them online on another day. Let’s just bask in this success for a while! Speaking of NOD please comment on your “Finally, if you make it to twenty years, you’re bulletproof even if you did cheat”. 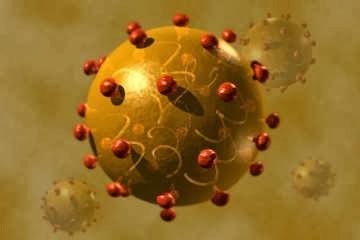 My HCV diagnosis was in 1995. My cirrhosis is probably close to 95 but not sure. Been in the VA health care system since then. I never cheat or alter evidence like the VA did to me. I am preparing for my time in the spotlight. You guys are a wealth of knowledge. I hope Randy sends NOD a case of his favorite libations. Randy has the 60% for one taco. The ROs won’t decide on “extra schedular” TDIU, as they kick it up to that special denial officier to get them off the hook.